This Episode is about doing your best work, the role of creativity and how creativity can be trained. My guest today is Denise Jacobs. Denise has her roots in Project Management and Software Development. Denise’ first book was a bestseller on CSS and she made a speaking career out that profession. But then, something happened, she got bored and was looking for a new challenge. Denise decided to become a public speaker and a „real“ book author on the topic of creativity. And again, a great piece of work went through a non linear journey of experience, practice, learning and relentless work, rather than being an overnight success. Until then, Denise spent years in teaching creativity techniques and exercises as well as giving keynotes on the topic. 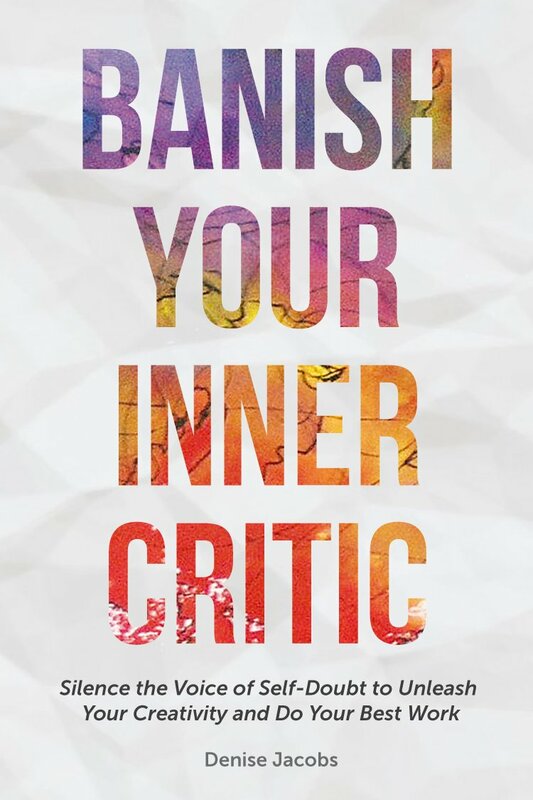 She discovered that there is an enemy to creativity in all of us: The inner critic. What I found extraordinary in this book is that it is not about some tree hugging might work fantasies, but that it is grounded in brain research and psychology. A book full of stories, exercises (creative doses and insights that will help you do your best work. „I got to a point where I would share drafts that were like 55% with my editor, which was something I was extremely uncomfortable with. I didn’t even know you could do that“. „And the porter interesting thing is that (in business) people try to act like business relationships and personal relationships are completely different“. Going through the experience of self doubt for years … and then a night of flow!